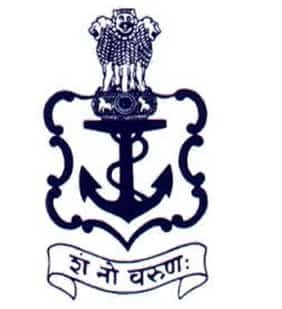 Indian Navy BTech Entry Scheme 2018 is conducted by Indian Navy for admissions to B. Tech Degree programs in Indian Navy. The scheme is open to unmarried male candidates who have passed 10+2. Students appearing in Class 12 exam are not eligible to apply. On completion of the course, the B.Tech degree will be offered by Jawaharlal Nehru University (JNU), Delhi Indian Navy offers a four-year B.Tech course in Electronics & Communication or Mechanical Engineering at the Indian Naval Academy, Ezhimala, Kerala. Get complete details on this page about 10+2 Indian Navy BTech Entry Scheme 2018. The Indian Navy has mentioned in their notification that it is the last time that the candidates will be shortlisted on the basis of PCM percentage. The shortlisting or selection process for Indian Navy B.Tech Entry will be based on JEE Main Ranks for the next batch onwards. Gender: Unmarried male candidates who have passed 10+2. Students from all over India and from any educational board can apply for B.Tech offered by Indian Navy. Age: Candidates born on or between 2 January 1999 and 1 July 2001 are open to apply. (Both dates included). Passed Class 12 or equivalent from a recognized University/Board with a minimum 70% aggregate marks in Physics, Chemistry, and Mathematics as the subjects. Minimum 50% marks in English in either Class 10 or Class 12. Eyesight: Minimum acceptable vision standards for distant vision is 6/6, 6/9 correctable to 6/6, 6/6 with glasses. Should not be night blind or color blind. Tattoo: Permanent tattoos are prohibited except on inner face of forearms i.e from inside of elbow to the wrist end and on the reverse side of palm/back (dorsal) side of the hand. Matriculation Certificate: The candidates need to keep the matriculation certificate to be ready as the personal particulars are to be filled according to the details available in matriculation certificate. Email Id: A candidate must hold a valid email id as the email id is the mandatory field to be filled in an application form. Mobile: The mobile number is also the mandatory field to be filled in an application form. So the candidate must hold a valid mobile number as further information can be entertained on mobile through SMS. Scanned Copies: The candidates are required to keep the scanned copies in pdf format. The candidates are provided with the steps to fill the online application form for Indian Navy B.Tech Entry Scheme. The candidates are advised to follow the steps carefully while filling the form. STEP 1: Candidates are required to visit the official website and click on the ‘official entry’ tab found under the ‘apply online’ option on the Home page. STEP 2: Fill the online application with the requisite details carefully. Be careful while filling up academic details, mobile number, name & address. STEP 3: Candidates have to make their new user ID and Password or if already made then login with the same. STEP 4: Upload a recent passport size photo and all the relevant documents as described above. The submission of The Indian Navy BTech Entry Scheme is Online only, the candidates are advised to check the details of the application form before the final submission because once the application has been processed then the candidates will not be able to do any changes. Candidates have to reach for SSB interviews along with the copy of their printed application form. There is no registration fee/application fee. The entire cost of training, including books and reading the material and it, will be borne by the Indian Navy. The cadets will also be provided with free clothing and mess facility. The selection of the candidates will be done on Merit List and SSB Interview. Candidates recommended by the SSB and declared medically fit will be appointed for training as per all India merit depending on the number of vacancies. The selection process will be held in two stages. The candidates shortlisted on the basis of their application will be called for further rounds of selection, and it is divided into two stages which are described below. The first stage of selection for Indian Navy B.Tech Entry Scheme is Preparing the merit list. The merit list will be prepared on the basis of the candidates' class 12 (PCM) scores or JEE Main 2017 rank. The shortlisted candidates will be called up for SSB Interview. It will consist of Intelligence Test, Picture Perception and Group Discussion. It will be a shortlisting round, and the candidates who get selected in the first round will move towards Stage II. Candidates who get selected by SSB, have to undergo Psychological testing, Group testing, and Interview which will last for four days. Successful candidates will after that undergo Medical Examination. Candidates declared medically fit by SSB will be selected for training. No compensation will be paid in respect of any injury sustained as a result of tests. Return/First Class/AC III Tier/Chair Car rail fare is admissible for the SSB interview if appearing for the first time for that type of commission. The training of candidates who declared medically fit by SSB is scheduled to commence in Jul 2018. Selected candidates will be provided training in Indian Naval Academy Ezhimala, Kerala based on All India Merit and on the number of vacancies. The entire cost of training, including books and reading material, will be borne by the Indian Navy. The cadets will also be provided with free clothing and mess facility. Candidates who get selected in the selection procedure are required to attend the training session which begins in June 2017. The candidates will be inducted as Cadets for a four-year B.Tech course in Electronics & Communication or Mechanical Engineering at the Indian Naval Academy, Ezhimala, Kerala. During the course, Cadets will be allotted Executive or Engineering including Naval Architect specialization or Electrical Branch. After the training process is successfully completed, the Cadets commissioned as Sub-Lieutenant. The allowances such as flying and transport are given in the table below. The candidates can check the allowance rate for per month. The cost to Company: A sub-lieutenant gets a CTC of Rs 83,448 to Rs 96,204 per month, which includes Basic Pay, DA, Grade Pay, Military Service Pay, House Rent Allowance and Transport allowance. It is subject to change. Privileges: Navy also provides free medical facilities for self & dependents, Canteen facilities, Entitled rations, Mess/Club/Sports Facilities, Furnished Govt. Accommodation, and Car/Housing Loan at subsidised rates. Group Insurance & Gratuity: Insurance cover of Rs. 75 lakhs (on contribution) and Gratuity will be granted to the officer as per the latest rules in force. Officers are entitled to 60 days annual and 20 days casual leave every year (subject to service exigencies). They are also entitled 40% rail concession to any place and free travel (as per extant rules) for self and dependents. Leave during training period will be as per the Training Policy in force. Sports & Adventure: The Navy provides facilities to pursue any sport of your liking. One can also learn and participate in adventure sports, such as river rafting, mountaineering, hot air ballooning, hand gliding, wind surfing, etc.